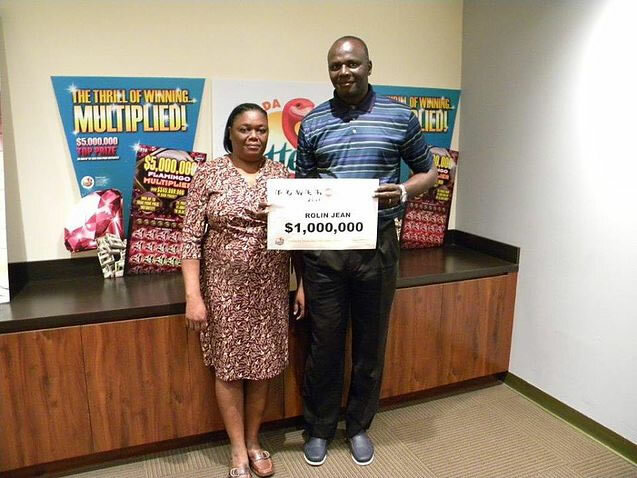 Rolin Jean (50 yr old), is the newest millionaire in Florida. He is one of the few luckiest men to win the Powerball Jackpot that had reached over $1.5 billion. He has matched the five white balls in Wednesday's (January 13, 2016) historic ‪Powerball‬ drawing. There are two other winners as well in this world's largest jackpot-- one from California and the other from Tennessee. Rolin purchased his ticket from Orion Gas, located at 10301 Northwest 7th Avenue in Miami. The retailer will receive $100,000 for selling the jackpot-winning ticket. The Florida winner's share (1/3rd) of the jackpot comes to $528.6 million, the lotto says. Powerball drawing on January 13, created with an annuity value of $1,586,400,000 was the largest jackpot in world history. The winning white ball numbers announced at 9 p.m. on January 13 were: 8, 27, 34, 04, 19 and the Powerball was: 10. Here is a picture of Haitian-American professional boxer Andre Berto. Berto Confident He can Beat Mayweather. Haitian-American boxer, Andre Berto, is a World Boxing Championship title holder, having defended it four times. During his amateur career he has won the National Golden Gloves, National PAL, and U.S. Amateur Championship Medalist events. He is set to fight welterweight world champion, Floyd Mayweather, on September 12th, who has a record of 48-0 (26 knockouts). Berto's record of 30-3 (23 knockouts) by comparison does not discourage him from beating Mayweather. 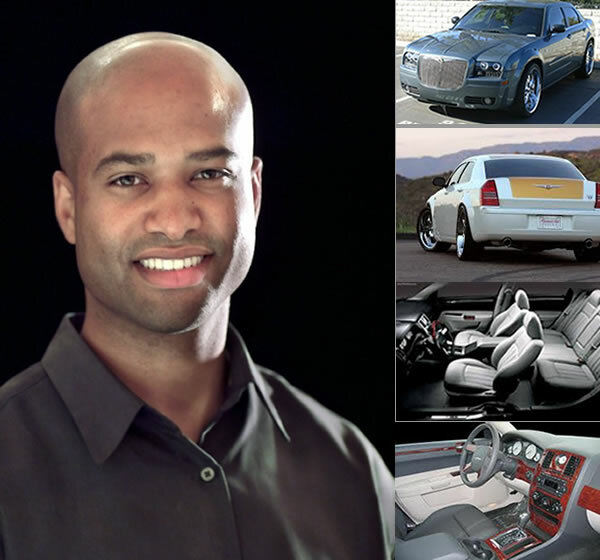 Ralph Victor Gilles is an American-Canadian automobile designer and the present President of the SRT Brand and Senior Vice President of Design at Chrysler Group LLC for Jeep/Truck Color & Trim and Specialty Vehicles. 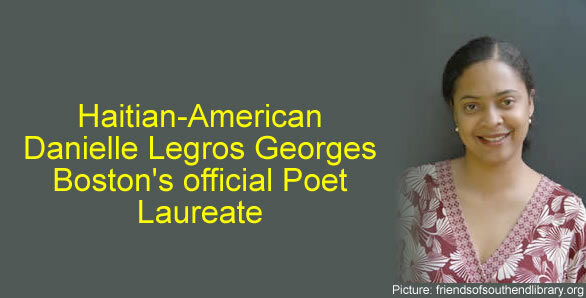 He was born on 14 January 1970 to Haitian immigrant parents. As an automotive enthusiast, he earned a Bachelor's degree in Transportation Design at the College for Creative Studies (CCS) in Detroit. 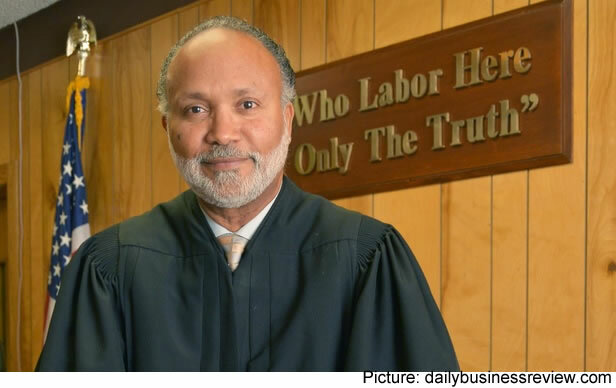 Thereafter, he pursued a Master's degree in Business Administration at Michigan State. He used to teach at The School of Industrial Design at CCS between 2003 to 2005, and now serves as a member on its Advisory Board. Gilles became experienced in Chrysler by serving various designing roles since he joined the company in 1992. After the retirement of experienced Chrysler designer Trevor Creed, he became the Vice President of Design on 1 September 2014. He is now responsible for all the designing activities of Chrysler. Under his leadership, the company is pursuing for a more sensual look for its forthcoming products. 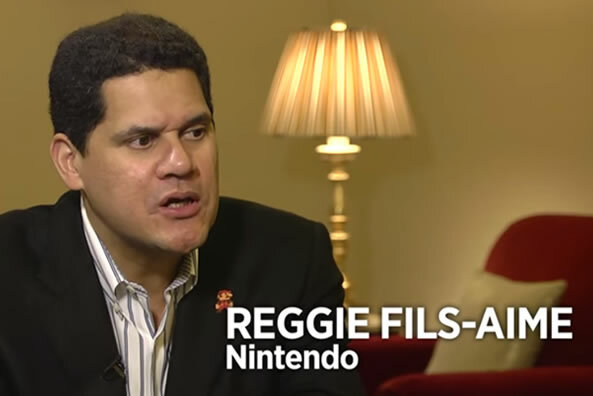 An accomplished business executive with a Haitian root, Reggie Fils-Aime was born to Haitian immigrants, who moved to the United States due to the political view of his grandparents. He was hired by Nintendo of America in December 2003 as the Executive Vice President of Sales and Marketing. 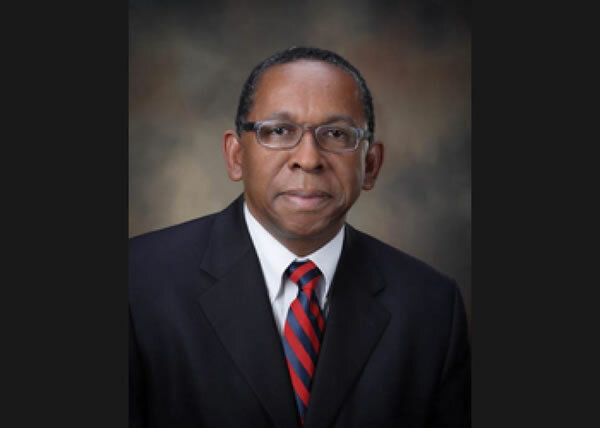 The President and Chief Operating Officer of the North American division of the hugely successful Nintendo franchise, Reginald Fils-Aim, was born in the Bronx, New York after his Haitian parents were forced to emigrate because of the political atmosphere in Haiti at that time. Before his current post, Fils-Aimé worked with VH1, where he met his current wife, and then began working at Nintendo where he would become the Executive Vice President of Sales and Marketing before taking on his current role. In 2004 at an E3 press conference, he became a popular figure among gamers around the world following his appearance. The historic win of the Haitian-America Mia Love to become the first Haitian-American in US Congress and also the First Black Woman elected as a GOP to congress has created some joy for her fans. However this win has also created some discomfort among some long standing organizations. 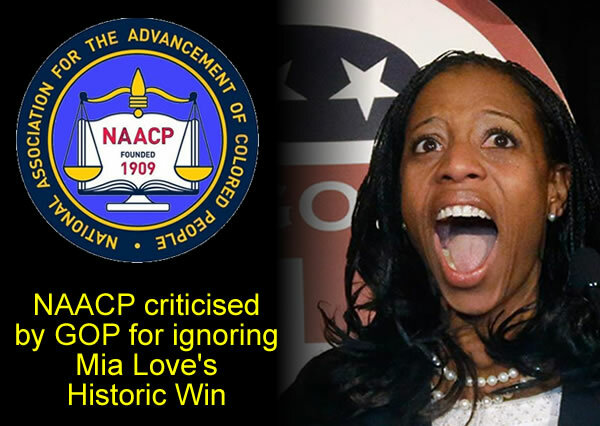 NAACP has been criticized by GOP for ignoring Mia Love's Historic win. Republican official Raffi Williams is harshly criticizing the NAACP for not hailing the notable wins of Haitian-American Mia Love to a Republican seat in Congress, and African-American senator Tim Scott's Republican win for South Carolina. Love is the first Haitian-American and woman senator-elect, and Scott the first African-American to win since Reconstruction. Williams vented his frustration over the NAACP's snub by tweeting a number of times, complaining they ". 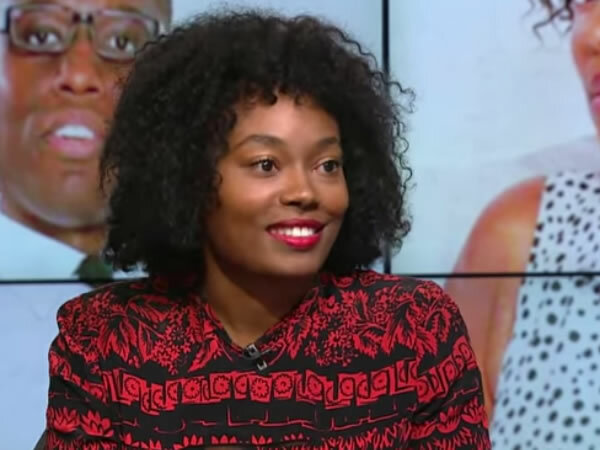 . . won't celebrate black republicans."